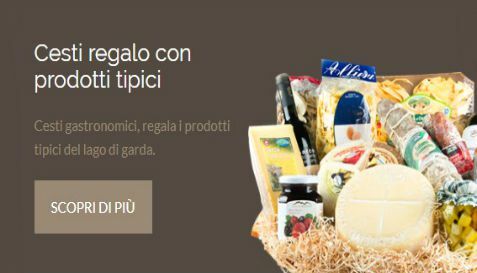 CASEIFICIO ALPE DEL GARDA was born in Tremosine sul Garda, which produces typical cheeses as well as cheeses from Lake Garda. Here, among broad-leaved patches and very green pine woods from which spiers of dolomite rocks emerge, cheeses produced by Alpe del Garda are processed. They present unique and typical characteristics of the mountain area. In Tremosine del Garda tradition meets the freshness of green pastures and the most uncontaminated nature. From this combination are born the products of Alpe del Garda, typical cheeses with unique flavors, which are able to give every taste an unforgettable experience. All the cheeses of the dairy come from the transformation of the milk of their own farm and of those of the members. The milk used for cheese processing comes exclusively from the animals we breed. These garments are reared exclusively according to certified procedures, as well as complying with the highest standards of hygiene standards. 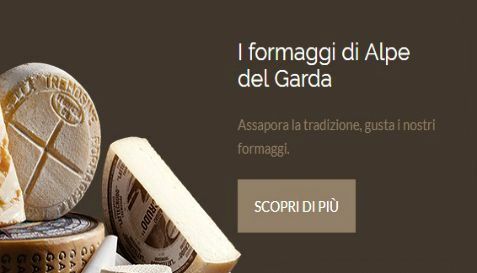 The Garda cheeses produced by Alpe del Garda, have the unique and typical characteristics of the mountain area. The typicality of our cheeses as well as the unique flavor that contain the dairy products of the Alpe del Garda dairy, born from passion and tradition. These peculiarities are contained in the hands of our cheese makers. These are the ingredients that with the passing of days, weeks and months lead to the birth of our cheeses. Formagella di Tremosine. A typical cheese of Tremosine, with soft paste, slightly eye-catching, with a fragrant taste and a delicate scent of the essences of mountain meadows. Expertly matured in rooms with selected molds to obtain a unique product. It is exquisitely good and with maximum digestibility. Formagella Tremosine without lactose. Typical cheese that was born to be able to delight even the lactose intolerant this characteristic cheese. It is obtained by delacting the milk that is used for production. A product that keeps unchanged all the characteristics of the classic Formagella despite the absence of lactose.